Two important textbooks in the field of PV and HCPV recently published include chapters co-authored by Dr. Ignacio Luque Heredia, Director General of BSQ. Firstly, the second edition of Clean Electricity from Photovoltaics, published by Imperial College Press, provides an updated account of the underlying science, technology and market prospects for photovoltaics. The book is edited by Professors Martin Green and Mary Archer. Martin Green, one of the fathers of modern photovoltaics, is Scientia Professor at the University of New South Wales in Australia, and Fellow of the Royal Society of London. Lady Archer is a former Fellow and Lecturer in Chemistry at the University of Cambridge. She currently sits on the Chemistry Advisory Board in the Chemistry Department at the University of Cambridge. 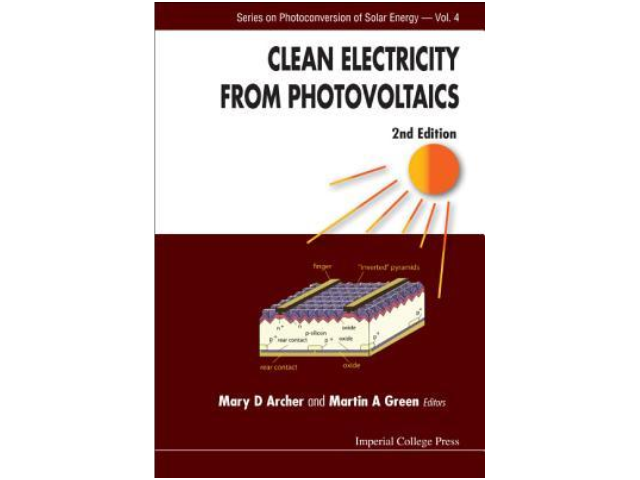 The book’s 708 pages are organized in 14 chapters covering PV technology topics such as crystalline silicon cells, thin films, CdTe, Cu(In,Ga)Se2, III-V Multijunctions, organic cells, dyes and perovskites, quantum well cells, PV modules, PV business and the limits to PV conversion by several well-known experts such as Michael Grätzel, Dieter Bonnet, Werner Schock Jenny Nelson, Arnulf Jäger Waldau or Masafumi Yamaguchi, many of these holding Becquerel or Cherry prizes in PV research. 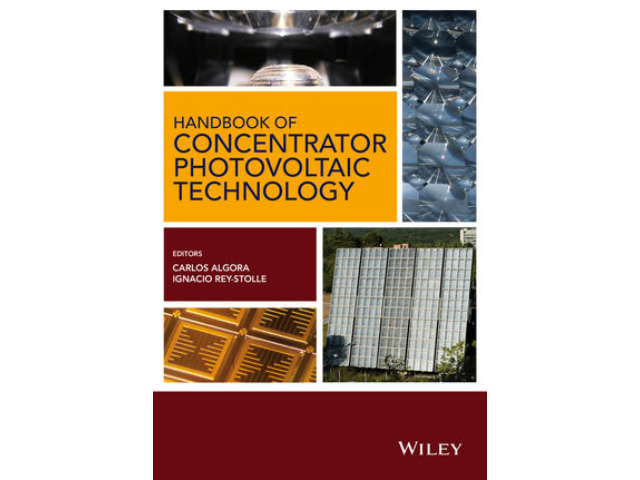 Professor Antonio Luque and Ignacio Luque-Heredia (father and son team) authored the chapter on Concentrator Photovoltaics. An 80-page review on the design principles and technology of CPV systems, ranging from the cells, optics, heat management, modules and trackers, and ending with and explanation of CPV rating and performance standards, the industry status and cost projections. The other relevant publication with BSQ’s participation is the Handbook of Concentrator Photovoltaic Technology published by Wiley & Sons. With its 772 pages, it is probably the most extensive overview written on CPV technology up to date. In its 14 chapters it covers the fundamentals of solar radiation, solar cells, concentrator optics, modules and trackers; all aspects of characterization and reliability; case studies based on the description of actual systems and plants in the field; environmental impact, market potential and cost analysis. The book is edited by CPV specialists, Carlos Algora and Ignacio Rey-Stolle –professors at the well-known Institute of Solar Energy at the Polytechnic University of Madrid (IES-UPM). Ignacio Luque-Heredia and Pedro Magalhães, having both worked previously at CPV tracker specialist company InSpira, get again together with Matt Muller from the US National Renewable Energy Laboratory to provide a 43 page chapter on CPV Tracking and Trackers, covering topics such as design specs, a taxonomy of tracker architectures and structural considerations related to trackers, tracking control and accuracy measurement, manufacturing and field works and international standards related to sun tracking.